How do I add a user to my practice? Looking to add a new user to your account? Whether it be a practitioner or office staff, we have you covered! 1. Click on "Welcome", and from the drop-down list, select "Users"
2. There are two sections to select from when setting up new users. 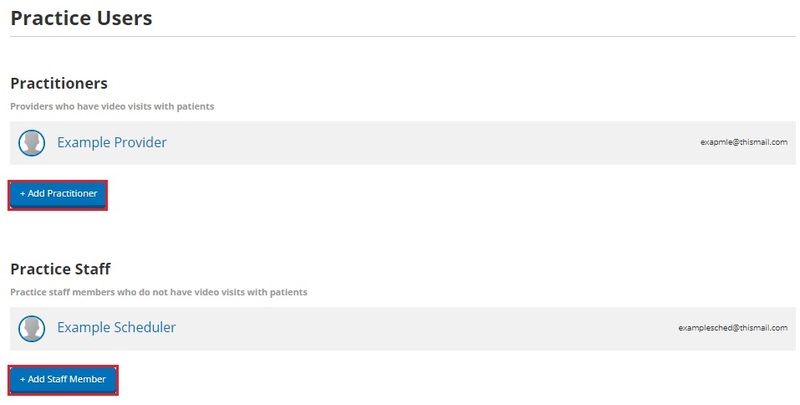 The practitioner section is for anyone needing to conduct telemedicine appointments. Any newly added staff will reflect on your next monthly payment. 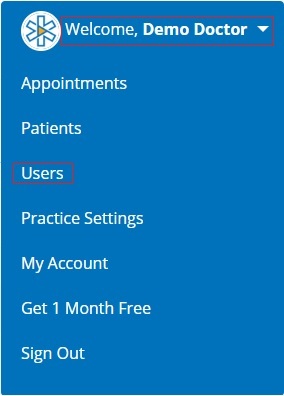 For your practice staff, there are no additional fees and you can add an unlimited amount of users.